The SC5 is a 5 blade PDC drill bits with a solid steel base and embedded PDC cutters in a specific angle, the so-called PDC StudCutter . 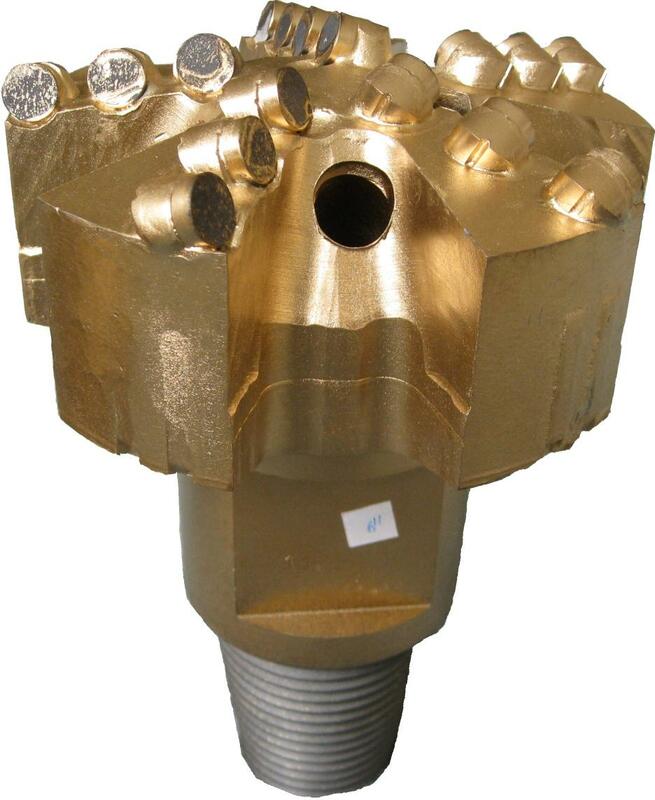 The increased caliber of protection is made of hard metal insert which are embedded in the 5 flank of the drill bit. Because of its geometry, this type is particularly suitable for hard and very hard sedimentary rocks such as Clay, marl, sand, limestone and gneiss. Distributed due to the large number of PDC cutters to 5 cutting surfaces at an acute angle to the center "run together" made this tool long periods in very hard formations ..